Indian communication satellite GSAT-6A would become a space debris if the Indian space agency does not reestablish communication link with it, said experts. 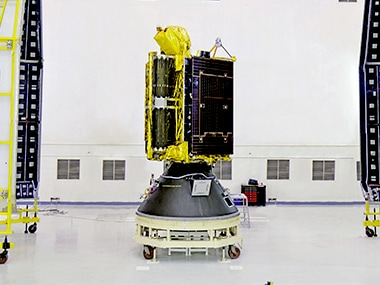 They also said Indian Space Research Organisation’s (ISRO) ability to link up again with the Rs 270 crore GSAT-6A satellite seemed to be remote as it was more than 48 hours since the communication got snapped. The experts spoke to IANS on the condition of anonymity. “If the communication link is not established, then the GSAT-6A is nothing but space debris. But this will be a fully loaded debris as its onboard motors have fuel for raising its orbit and also for its entire life span of around 10 years,” a space expert said. “The satellites are powered by solar panels that charge the onboard batteries. The batteries are fully charged when the satellite is loaded on to the rocket. Even if there is a problem with the solar panel, then the battery power should have kicked in. Here the entire power system of the satellite seems to have failed,” one expert said. Experts said the GSAT-6A satellite might take around 18-19 hours to orbit the earth once and if the satellite has lost ground control then it will be drifting towards the East. For ISRO, power system failure in its satellites was not new. It happened with communication satellites like INSAT-1A, INSAT-1C and INSAT-2D. The INSAT-1A was launched by the US rocket Delta in 1982. The INSAT-2D was launched in June 1997 but it came into operation only in October 1997 following a power bus anomaly and associated problems. The INSAT-1C satellite was launched in July 1988 from Kourou in French Guiana. Half of the 12 C-band transponders and its two S-band transponders were lost when a power system failed. Officials at the Indian space agency said they were trying round the clock to establish communication link with GSAT-6A. After than the communication link got snapped. And ISRO officials are hoping for that.